A total solution for wristband printing. Zebra's HC100™ wristband printer was developed to maximize ease of use. Just pop the easy-to-load cartridges containing Zebra's Z-Band ® wristbands into the printer—and print individual wristbands. The wide range of available wristbands are suitable for hospital patient identification as well as guest identification at hospitality venues and attractions such as amusement parks, sporting events and zoos. 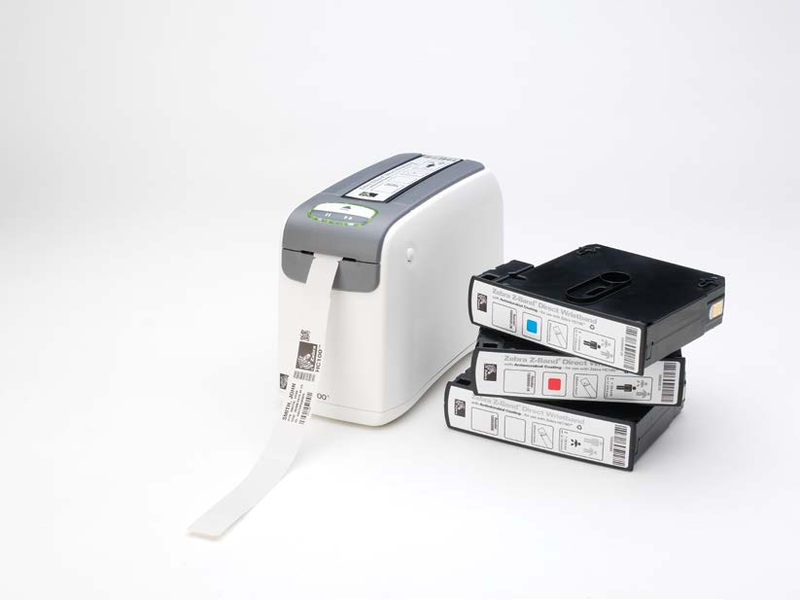 It’s easy-to-load feature requires minimal user action as the printer detects the wristband type and size and automatically calibrates the settings for optimal print quality and reduced waste. There is minimal training required to use the HC100—loading or switching the cartridge is a quick and simple task.